All over the world, water waste is a serious sustainability concern. 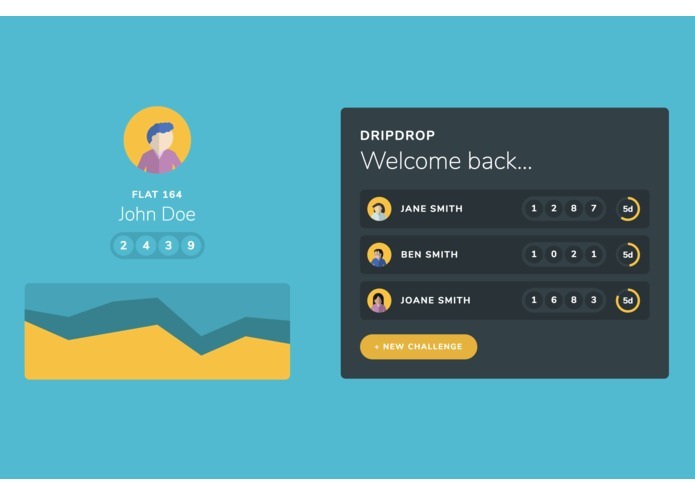 DripDrop aims firstly to inform users about when and how they are using their water through a range of metrics, and secondly to create an enjoyable and engaging incentive to do something about it by introducing competitive elements of gamification. We use quantitative data from Grundfos to identify and analyse key factors such as hot vs cold water usage and minute-by-minute consumption rates. 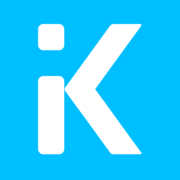 A material design-inspired web app then presents this information to users in digestible and accessible ways, such as through interactive charts and comparative neighbourhood statistics. Users can challenge a neighbouring household to save water, with persistent scoring and leaderboards to make DripDrop not only informative but also an engaging and usable product. We would like to utilise some of the other metrics such as temperature and humidity to give a broader view of your usage. Another thing we are planning is to allow the user to adjust the timescale for graphs, to be able to see in day, hours or even minutes. Throughout the development process, we made sure to use software design and development principles to make DripDrop as extensible and scalable as possible, from our server-side software architecture to our generalisable APIs. Future versions of DripDrop could trivially add more and more customisable metrics such as and fun new game mechanics to keep our users involved in playing with their neighbours and, drop by drop, saving more of our planet's water.